We are a quarter way through the year and it feels like time is flying! It seems an appropriate time to sit back and reflect on what has gone on in the last 3 months and to dream and plan for the next. We feel that the year has started well for us! We have been able to spend some time reconfiguring and rehashing some of our systems and strategies. The new addition to the social work team has also been a great help and are able to give more one on one attention to our various beneficiaries. It feels like it has been an exciting time with new expectations and fresh energy. This coming Sunday for example we as the New Hope Board will be spending the morning developing an intentional strategy for the rest of the year where we will be looking at all facets of New Hope and building on and developing what we believe in. If you are a praying person, please do be thinking of us during the next few weeks especially. This March Update will be our last monthly newsletter. From next month we will be moving to a bimonthly(every second month) newsletter. We have come to realize that the road of recovery is a long and sometimes repetitive journey, and often little changes in the space of a month. We feel that moving to a bimonthly newsletter will enable our team to spend more time focusing on the beneficiaries in the programme, and will have more news to share in when the newsletter come around. Our next newsletter will be sent out at the beginning of June. I've never been particularly patient. My wife will agree - shopping and long, deep conversations make me edgy. I'm particularly not patient when the process seems 'messy' or there is not a defined 'time frame'. Schedules and spreadsheets make me happy. But when working with people who live on the streets or in substance abuse recovery, patience is key. It’s the magic ingredient that allows us to unpack deep and complicated issues while building relationships with people we assume to be so different to us, eventually realising that we are all much more alike than we initially thought. Sometimes it helps us to see past the mask of others, revealing deep shame, disappointment or simply the desire to make the most of the opportunities you may be bringing them. Patience is a two-way street. But while the street people and addicts I know are patience-rich, always available to chat and share ideas and thoughts, I'm most certainly patience-poor. My rushed target-focused mind trying to check off the next thing in my spreadsheeted task list - looking for the next 'done' high. This is my brokenness, my addiction. But I am learning to be patient and when I find the peace of slowing down, listening, without an attitude of needing to get something done, then I feel the work of God's grace taking over, and so much more gets done. 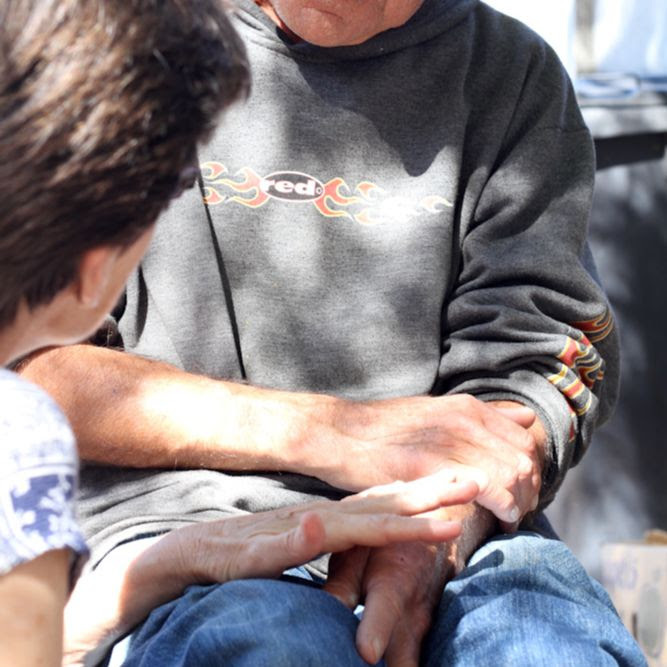 Over the last month conversations have begun about Mary moving to Boston House (Tertiary rehab) in Belville. This is a big next step for Mary in her recovery and we rejoice with her in the way she has remained dedicated and committed to recovery. At the end of March she would have been in recovery for 5 months, which is something to celebrate. Hlubi has had a bumping month of March. We have received reports that he has on a few occasions said that he wants to leave recovery. However all of these situations have been diffused and he has remained at Inner Peace and on his journey. After nearly 10 years of using and residing on the street the road of recovery is tough and sticking on it takes all the will power and prayer that one has. We are very proud of the way Hlubi has persevered and remained in recovery despite the challenges. We continue to pray for God’s grace over his journey. Daniel has continued to show amazing progress over the last month. He wrote and passed his learners licence, which we are so pleased about. We trust that once he has passed his drivers, it will open up many more doors of opportunity for work. However at the moment he is bringing in a stable income and saving for his driving lessons. We thank God for the transformation we have seen in his life and trust for continued grace. Roger has been doing very well since coming back to Cape Town after his treatment. Often the first few months after coming out of in-patient rehab are the hardest because the rigorous structure, close mentorship and accountability falls away and people are often just left up to their own devices to find their way and take the next step. With the help of an additional social worker New Hope SA has been able to be more closely involved with Roger. 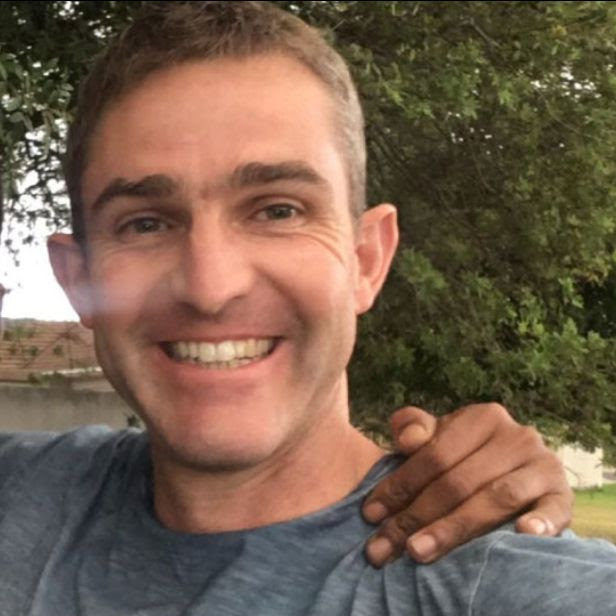 Together with him it was discerned that in order to overcome the next hurdle in the journey, that he and Walter go back for a brief period to in-patient in Fraserburg for a follow up treatment programme, and to then transition to a more structured second phase shelter in Cape Town where he will be able to work very intentionally on taking the next step. For him that looks like finding manageable work that will help him re-entre his trade and passion as a Carpenter and restorer of antique furniture. We are deeply proud of Roger and his ongoing commitment to ‘the road to independence’ and are praying for even more grace and peace to mark his journey. Similar to Roger, Walter has been doing well managing himself since coming out of in-patient rehab but has found himself getting stuck at certain points in taking the next step. With our support he made the decision that it would be beneficial to attend a few weeks of follow-up treatment in Fraserburg to pave the way for a more smooth transition into the next phase of recovery. For him that looks like, getting his eye problem sorted out, like finding meaningful work as well as continuing to restore and strengthen his relationships with key family members. We are trusting for clarity and open doors for the way forward for Walter and thank God for how far he has been able to come! Peter managed to get some contract work with a catering company but he has had a few bumps in the road. Peter has been very motivated and very proactive with trying to find work and these have been very good signs and we have been excited for the possibilities. It seems that he has come to realise that he needs more routine and good daily habits to help him stay on top of his recovery and making progress. With more social work capacity we will be tracking closely with him to help him, help himself with getting meaningful structure in his life to support his desire for a more holistically productive life-style. As we look back on the first 3 months of the year we see how God has provided for not only New Hope SA through finances but also for our beneficiaries. We have seen the way that He has provided exactly what they needed for the season they are in, whether it be work, finances, training, follow-up or community. We can celebrate because we know that He provides good things for His children in His perfect timing and He causes their lives to be fruitful and productive. So we continue to ask for His blessings and provision over New Hope SA and in the lives of our beneficiaries.